Mac OS X Applications HideAUser HideAUser is a little tool for hiding a user. 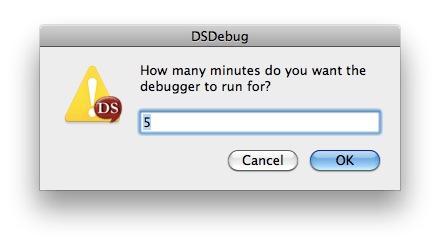 Once run, the loginwindow of Mac OS X will not show the user(s) specified. For multiple users, simply type the short name of each seperated by a space. Then attempt to login and see if the list shows the user you indicated not to show. AppleSetupRedux AppleSetupRedux is a simple utility for resetting a system back to a factory-type state. Once run, on the next reboot, the Apple Setup Assistant will run so that you can distribute the machine to customers or whatever you might want to do with a machine where the Setup Assistant runs again. BoxMounter Wrote a quick little tool for mounting Box.net accounts to the Finder of Mac OS X. This allows you to interact with the Box.net service as you would a MobileMe account or a file server. The tool connects to Box.net over WebDAV and so you will need to provide you username and password (which can be saved into your Keychain) for your Box.net account with each login. However, you can put the tool into your startup items, login items, etc. Future releases might include the ability to store your credentials so you don’t have to provide them any more or the ability to synchronize your files from your Box.net account, but this fills my need for now and so I hope you will find it useful as well. XsanDebugged XsanDebugged is a small, quick little tool that copies the Xsan logs to the desktop of the user running it. It’s designed so that an Xsan administrator can leave it in the Dock of a computer and then tell an editor or someone onsite to click on it and not have to step anyone through typing commands to copy logs, compress them and then email them. Another tool that is fairly quick and easy from the command line, but meant to save a bunch of time on the phone when troubleshooting issues remotely. Click here to Download XsanDebugged DSDebug DSDebug is a small, quick little tool that just puts a server into Directory Services debug mode, waits for a specified amount of time and then drops a file on your desktop with the logs, placing the server back into a non-Directory Services debug mode. That’s all. It’s mostly designed to send to an Open Directory server’s administrator, tell them to double-click on it and not have to step anyone through typing much. It waits mostly so you can know how long it’s going to wait… Nice, small and compact. Warning: it cleans up after itself, deleting the DirectoryService.debug.log file in case you captured a massive log or want to run it later without a bunch of crap already in the file. (but if you want to keep that file, and I doubt you do, then make sure to back it up before running this tool). PlistCheck is a very small, very fast application that checks preferences (aka – property lists) to make sure that they are properly formatted. There are a few other tools out there that do this and it’s easier to just use the command line, but if you are not command line savvy (or working with someone who isn’t) then you can use this tool to check property lists (preferences) rather than using the command line to do so. Click here to download ShowDesktop. Apple Dashboard Widgets Xsan Monitor The Xsan Monitor Widget is now in Alpha. This Dashboard Widget for Mac OS X will read the performance statistics for the Xsan processes and display how much CPU and RAM that they are taking up on your hard drive. Please feel free to download and test version .1 at your own risk. To download and install, just click on the below image, when the zip is complete downloading it should automatically extract and ask if you want to install the widget. If so, click Install and you’re good to go. FCSMonitor FCSMonitor is another application that, like Xsan Monitor monitors process and memory utilization. It too is in the earlier stages of development so if you’d like to test it out and use it then please feel free to download and install it by clicking on the screenshot of the application below. Krypted.com Krypted.com has a widget all its own. It’s nothing fancy, just displays the feed from the site. You can download it by clicking on the image here. How do I send you Beer? As in TY!